We can't believe THIS was Katie Price's shock new hobby! We can’t believe THIS is Katie Price’s shock new hobby! Katie Price has revealed a new hobby- and it's not what you would have thought! Okay people, we’ve got a scenario for you. You’re the massively successful Katie Price. You’ve just been told the release date of your tell-all book has been deferred until October 2016. You’ve got a lot of time to kill before you can start ruining celebrities lives. What do you do? GET A CUSTOM MADE POOL SET, OF COURSE! Don’t you just wish you were Pricey?! We know we sure do. This morning, the 37-year-old mum of five took to Instagram to debut her swanky personalised pool set. And as expected, it involves a LOT of pink. 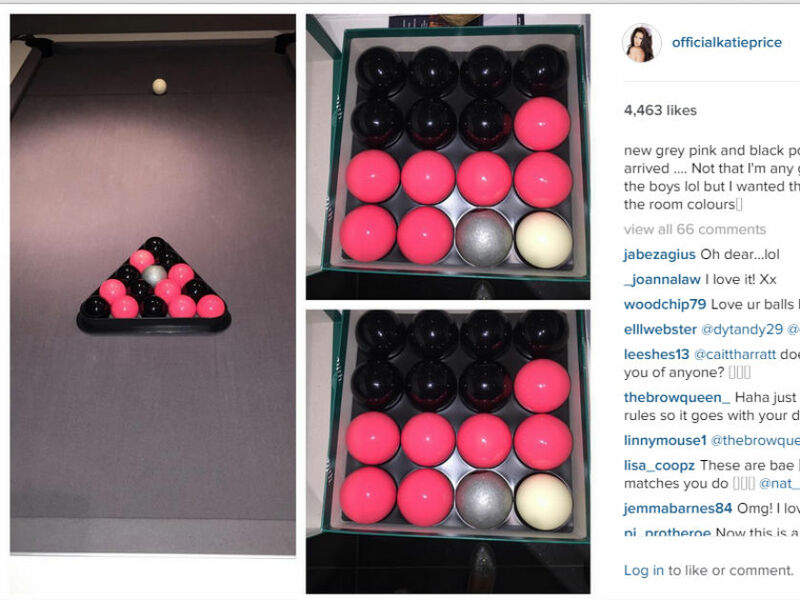 Katie captioned the snap ‘Yes yes yes our new grey pink and black pool table balls arrived… Not that I’m any good it’s for the boy lol but wanted them to match the room colours’. Katie’s ‘balls’ (WE CAN’T HELP IT, WE’RE SORRY) make their debut after a series of family pics, suggesting the business woman has been enjoying some downtime at home. 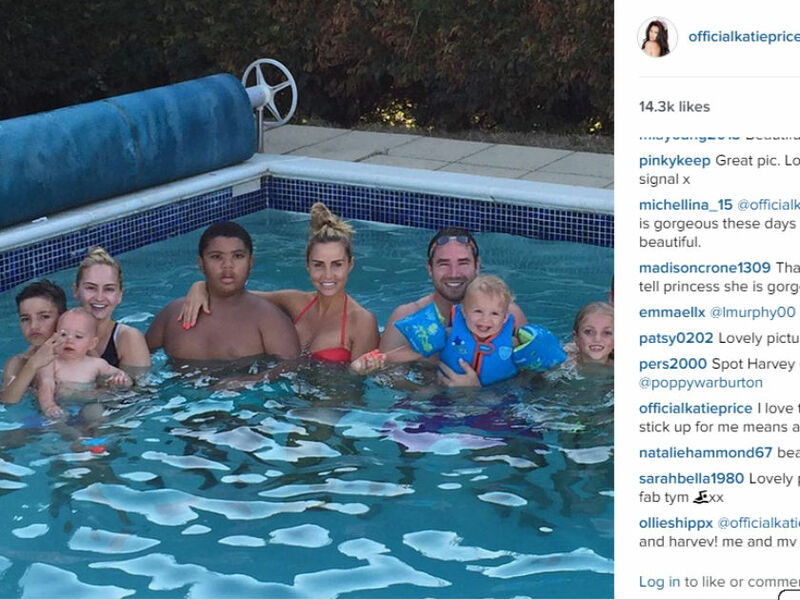 Pricey posted this adorable snap of herself and her entire clan to Instagram, captioning the picture ‘At home in the pool with the family’. The underwater cuteness went down a treat with Katie’s followers, with comments reading ‘beautiful family ❤️’ ‘What a beautiful family you have kate. X’, ‘Beautiful family Katie your a amazing mum x❤️’. Don’t you just wish you could have as much fun as these kiddos?! A quick dip in your backyard pool and then… oh, what’s that? The doorbell is ringing? Well, that means our personalised balls for the pool table have arrived! Yay!